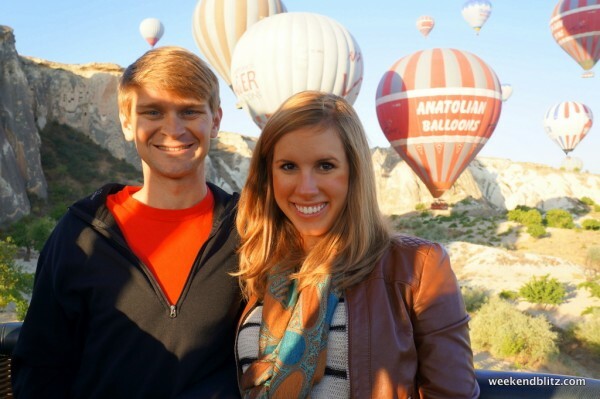 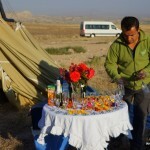 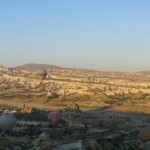 Our first night in Göreme was quite different than our time in Istanbul. We try our best to visit more than one city in a country because only then can you truly grasp any sense of the people, their culture, and their history. 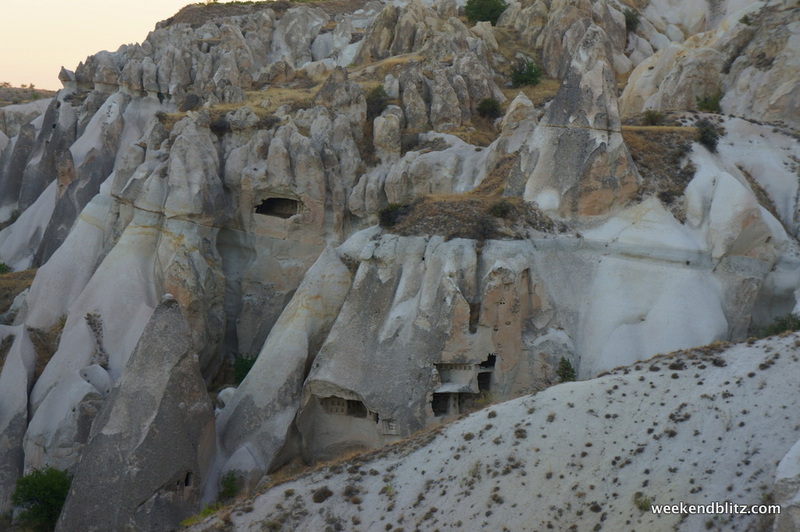 While Istanbul is a bustling, international city, the town of Göreme is much slower paced and its history is practically oozing out of each rock and cave. 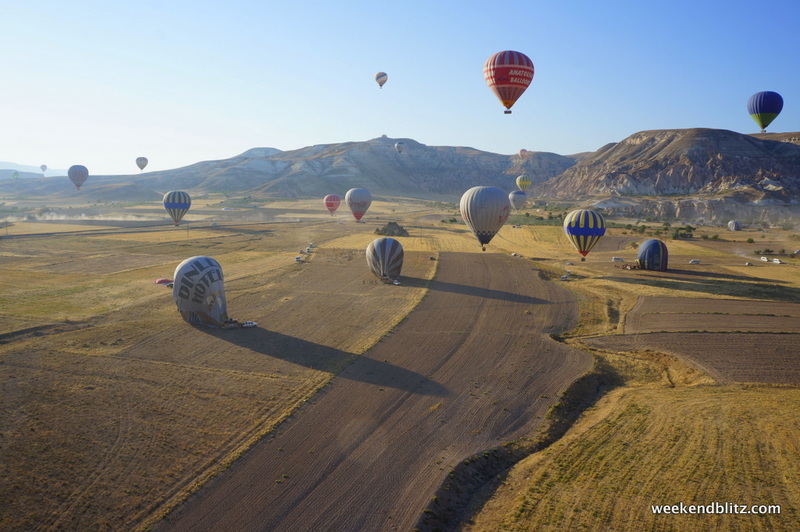 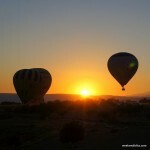 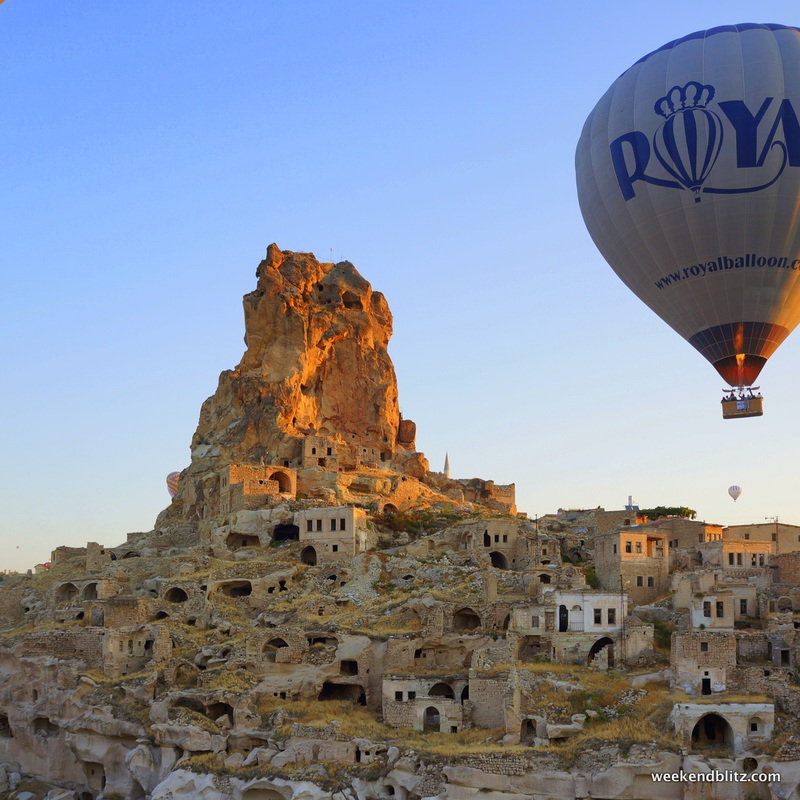 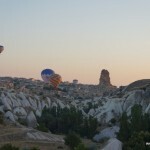 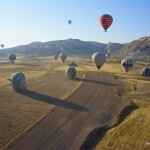 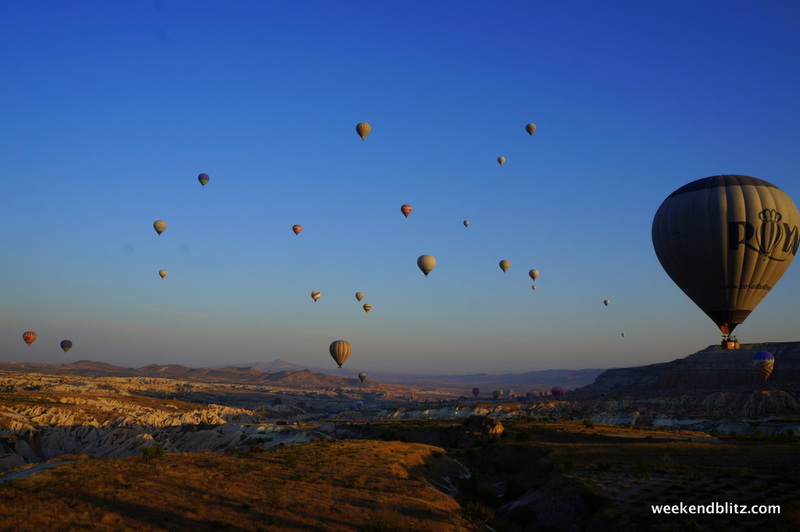 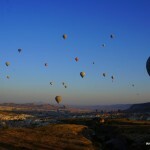 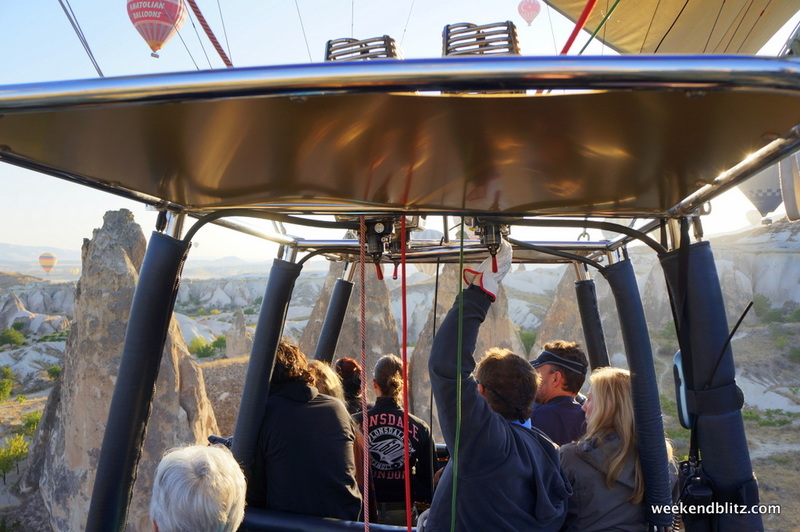 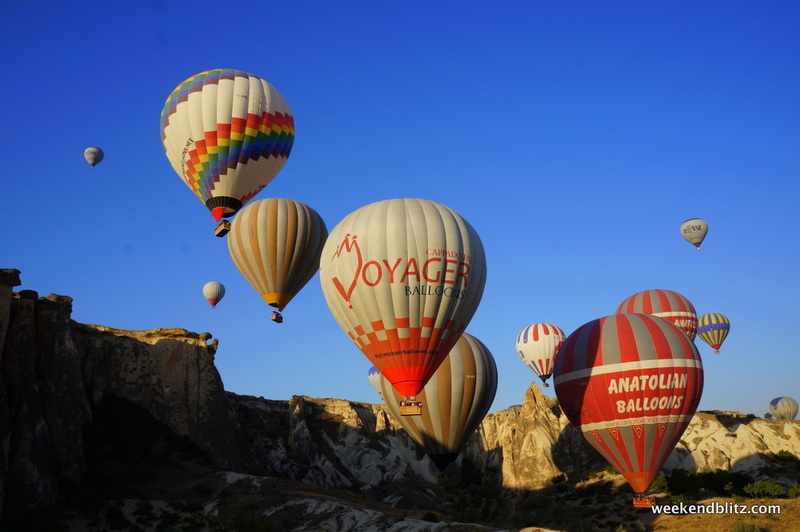 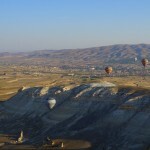 I knew I wanted to go hot air ballooning in Cappadocia the minute we booked our flights to Istanbul, so our sole purpose of going to Göreme was for this activity. 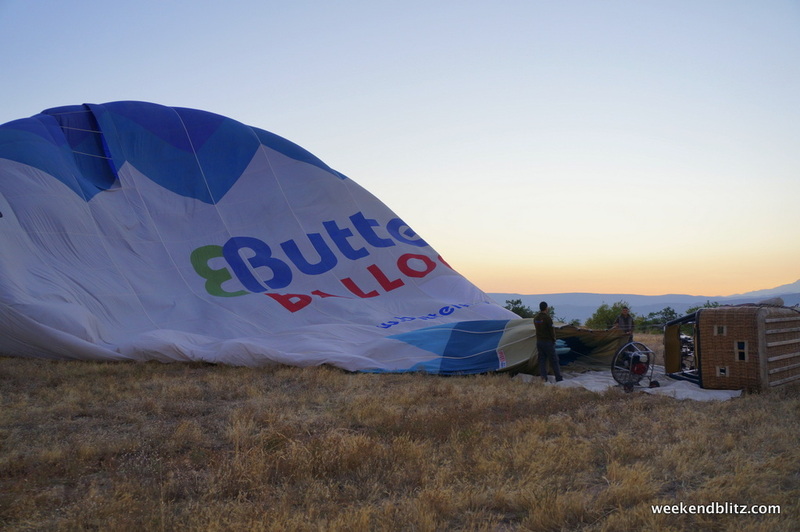 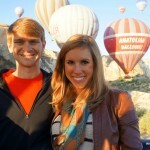 We did some research before leaving on our trip and ended up booking the Rick Steves-endorsed ballooning company – Butterfly Balloons. 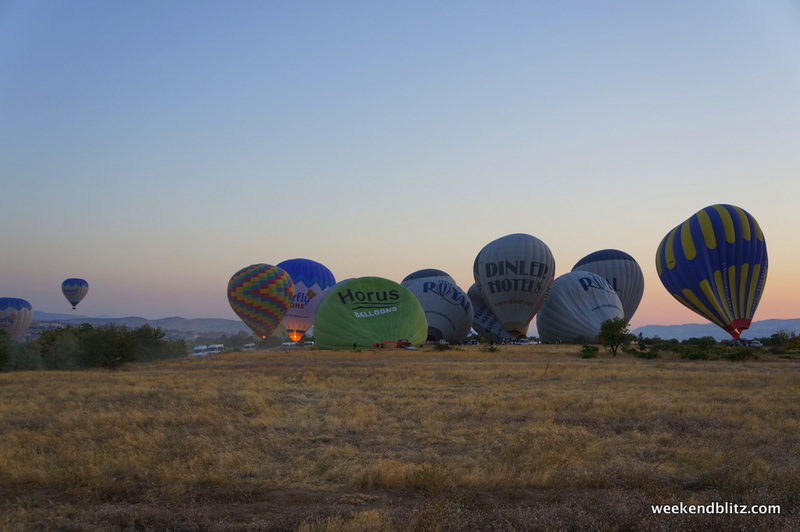 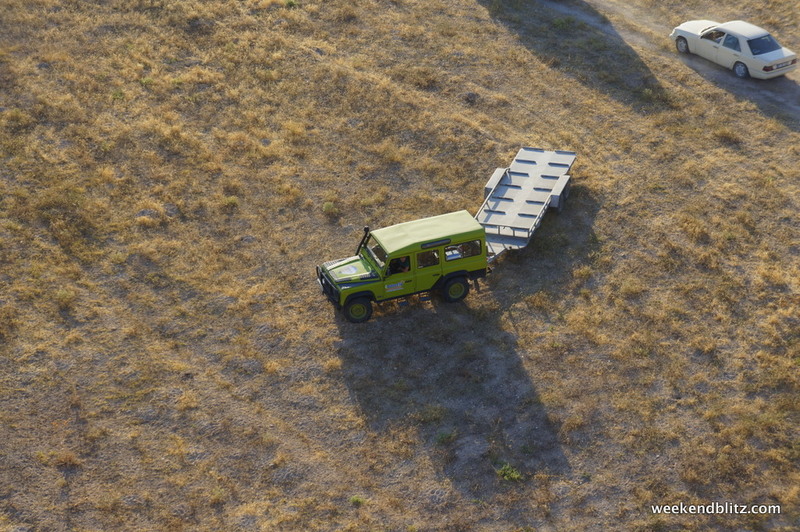 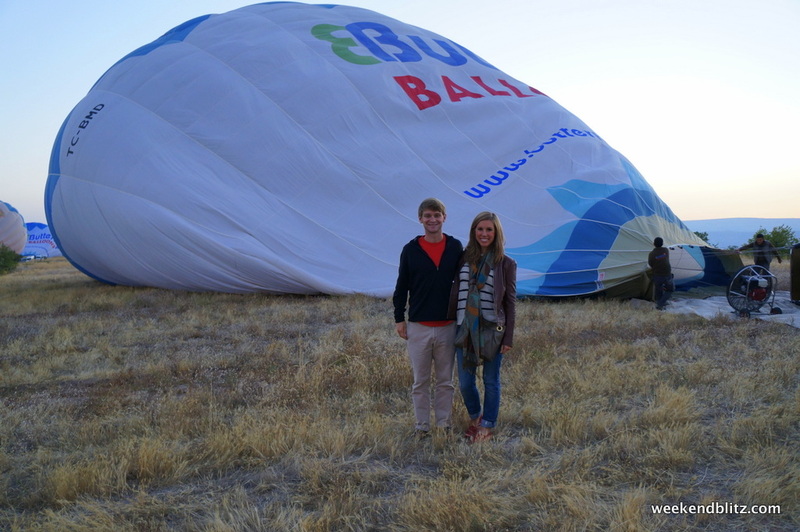 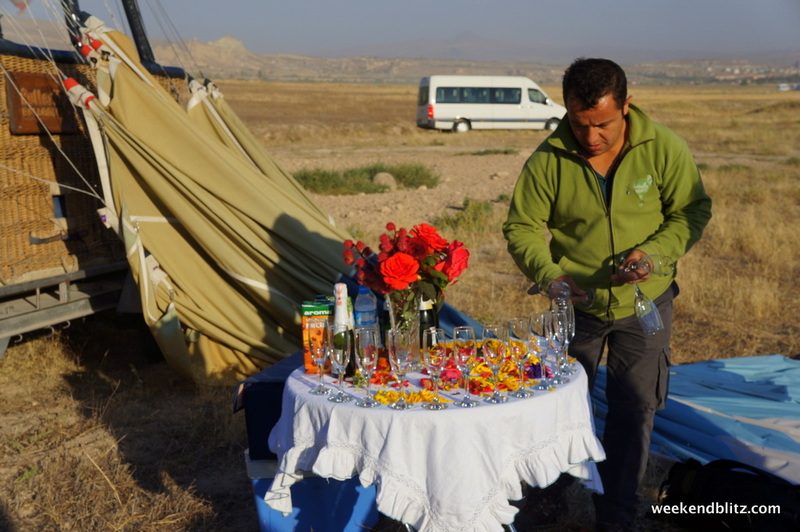 The different companies end up working closely together, and Royal Balloons’ balloons were right alongside us for our trip through the skies, so I don’t think the company matters as much as one might think before arriving. 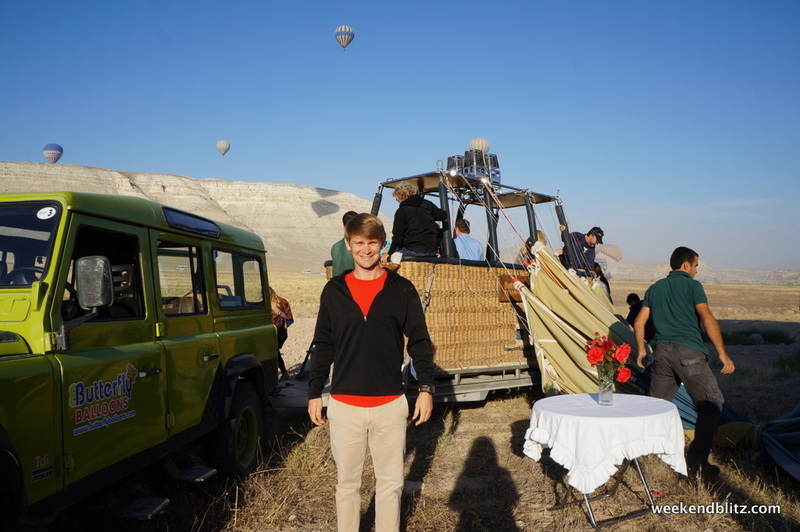 After spending way too much time at dinner chatting it up with the family who owned the delicious restaurant, we got back to the hotel with only about 4 hours until our 4:30am wake up call the next morning. 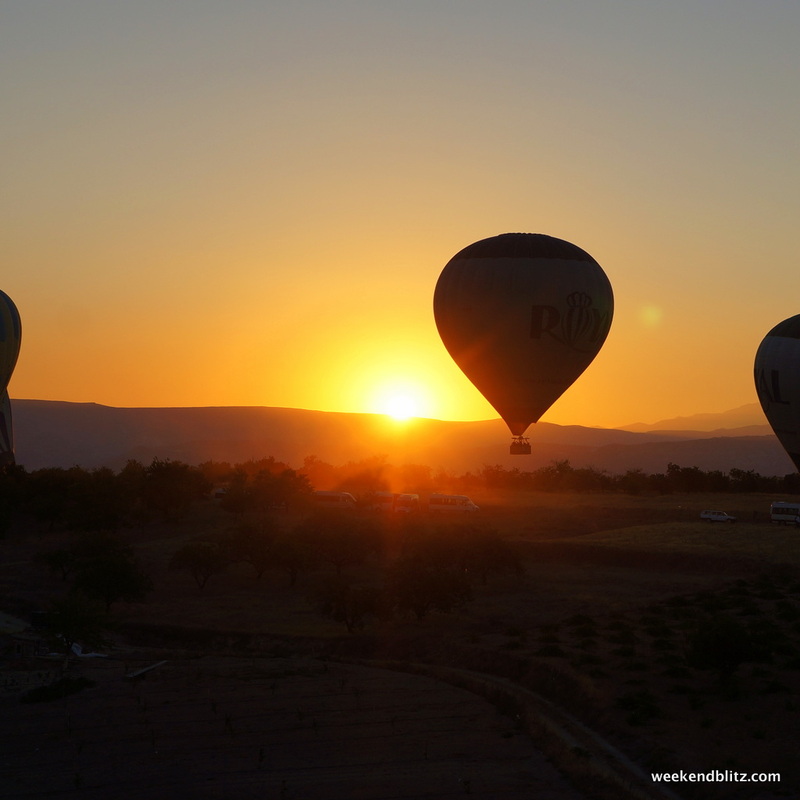 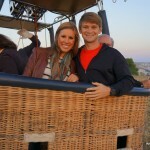 The early wake up call was the worst part of the whole trip, but definitely worth watching the sun rise from the balloon. 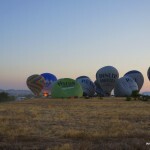 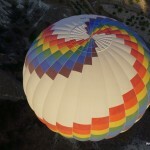 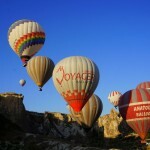 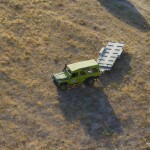 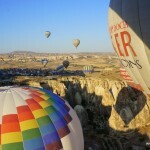 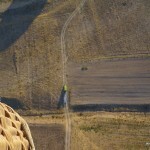 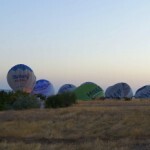 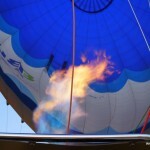 In an interesting anecdote about how the Turkish government sets policy (and how the Turkish people react), he said that a number of years ago, the Aviation Authority in Turkey tried to reduce the number of companies ballooning by saying that all companies had to own and operate a minimum of five balloons. 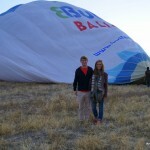 This, of course, resulted in all of the smaller, one-balloon companies going out and buying four more balloons. 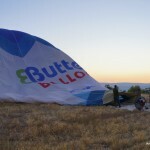 So, at the end of the day, there were many more balloons. 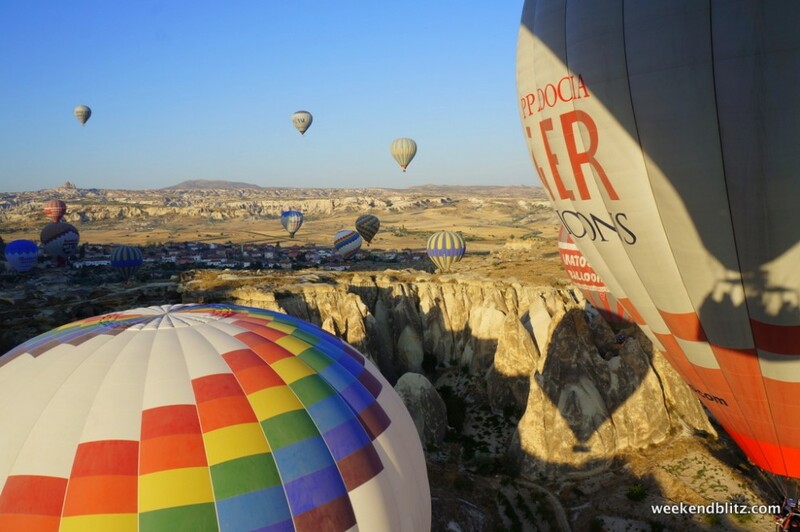 Then, having too many balloons and trying to correct their mistake, the Turkish government said, OK, now the maximum number of balloons any one company can have is 5. 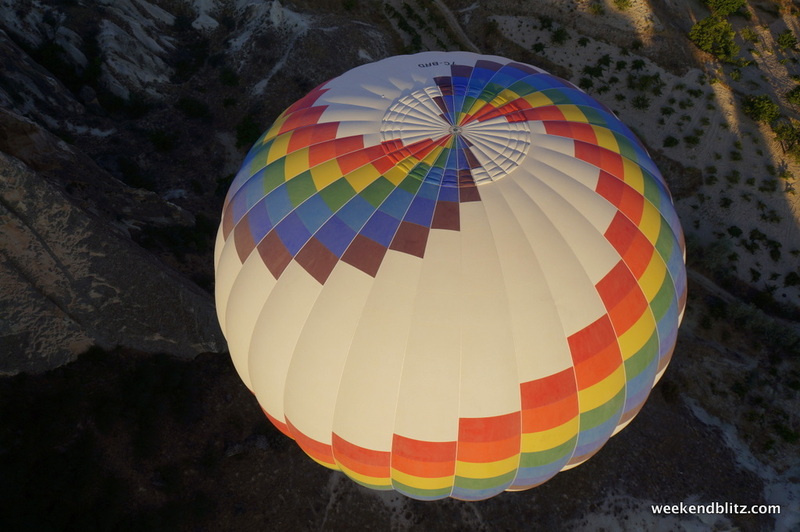 Many companies owned 10+ balloons, so, they formed new companies. 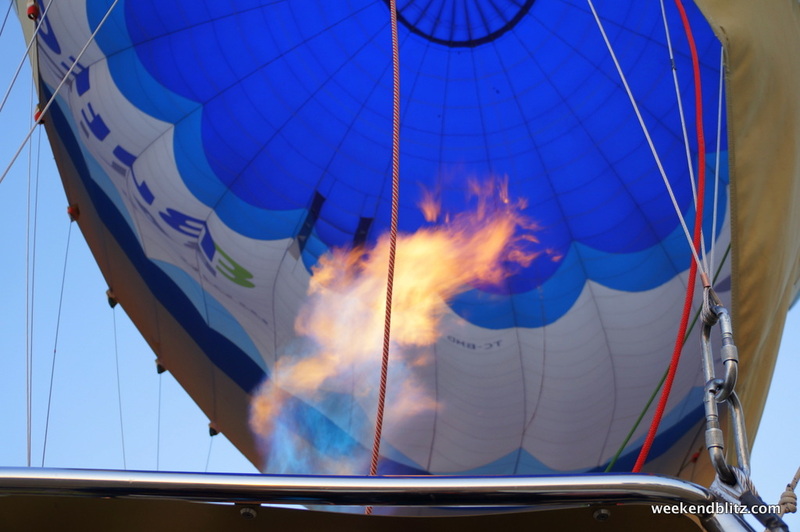 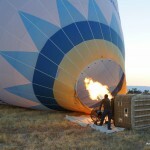 At the end of the day, you now have many more hot air balloons in the area and many more companies that have similar owners. 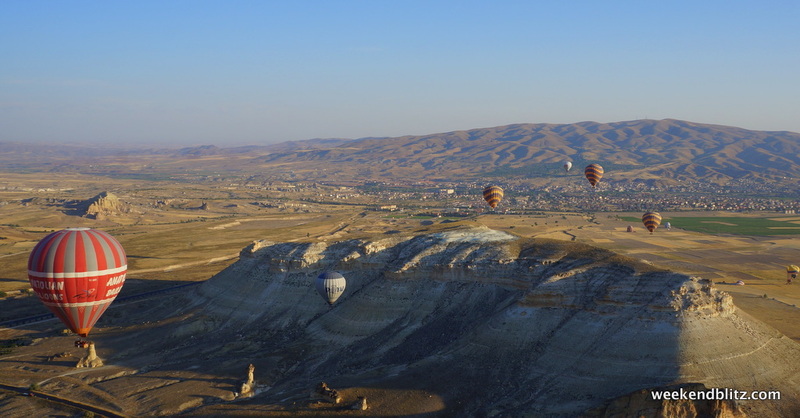 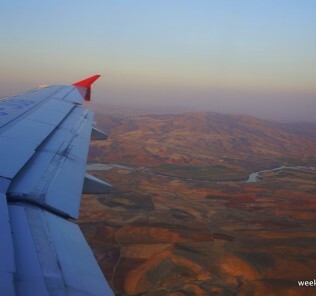 Even though Göreme is fascinating on the ground, it’s mesmerizing from above. 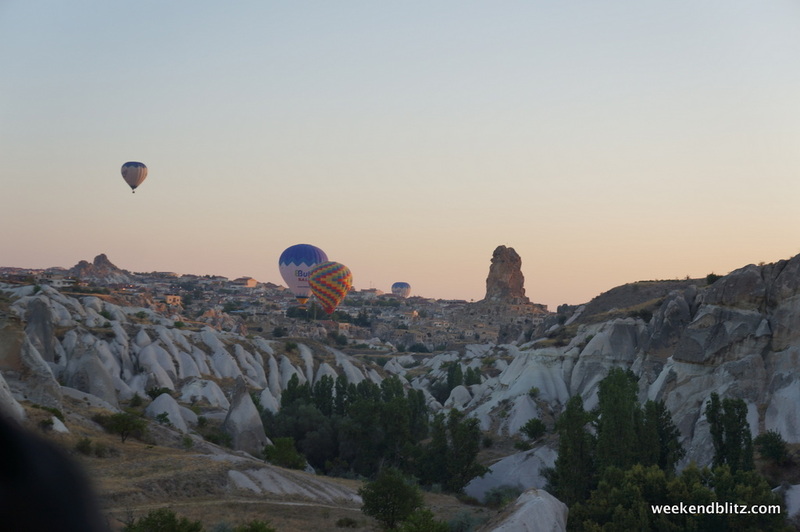 The “fairy chimneys” popping up everywhere make you feel like you’re on another planet. 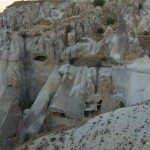 It’s pretty crazy that families lived in these rocks until just a few decades ago when the Turkish government deemed them too unstable to live in. 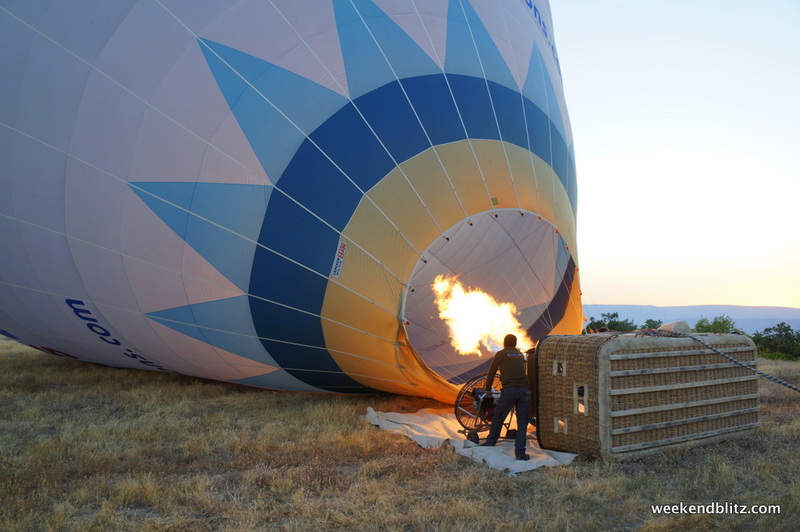 Upon landing, we were all presented with certificates of completion for our ballooning trip and the pilot joked that, in many countries, showing that certificate is all that you need to get your pilot’s license to fly one. 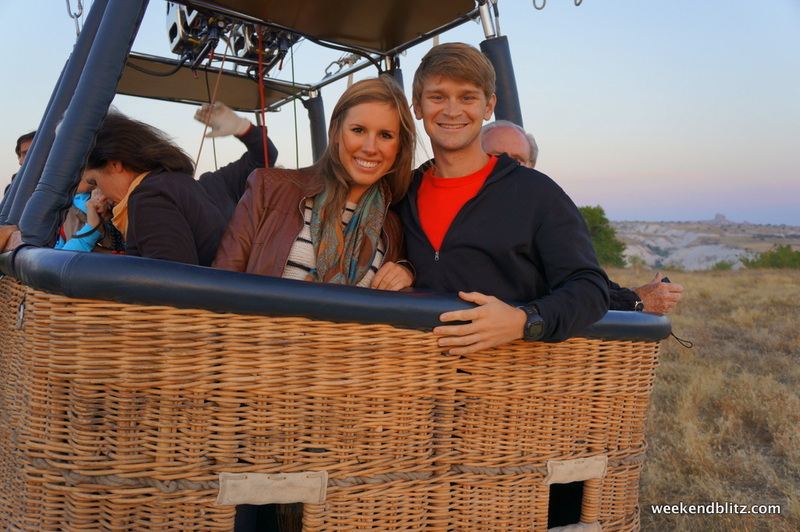 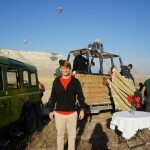 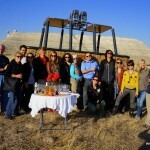 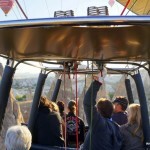 We highly recommend this fantastic experience in Göreme – it truly is a fascinating balloon ride, high above the fairy chimneys. 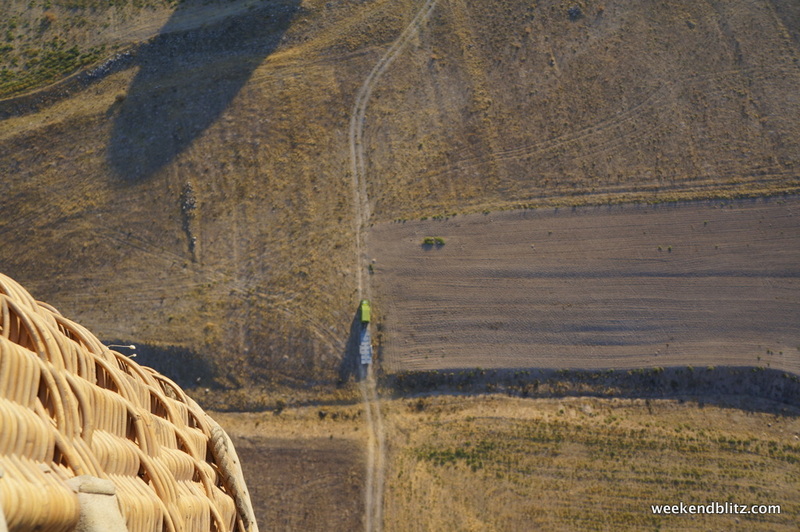 There’s no other place quite like it on this planet. 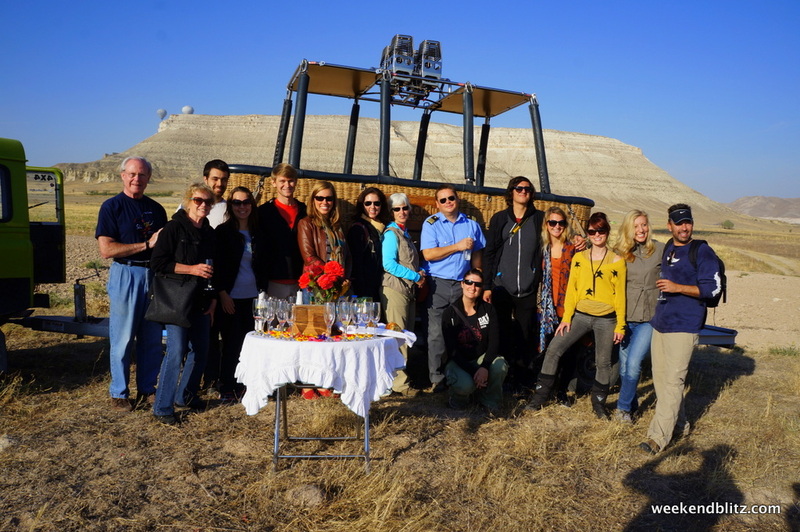 Our group make it safely back to Earth!